Summer and reading go together! Blame it on the Bookmobile, which used to park a block from my house when I was a kid, but when the temperatures soar, that's my favorite time to read. Though I'm grown-up and the Bookmobile is long gone, I even moved to a house with a reading-friendly front porch, that's just a short walk from the library. 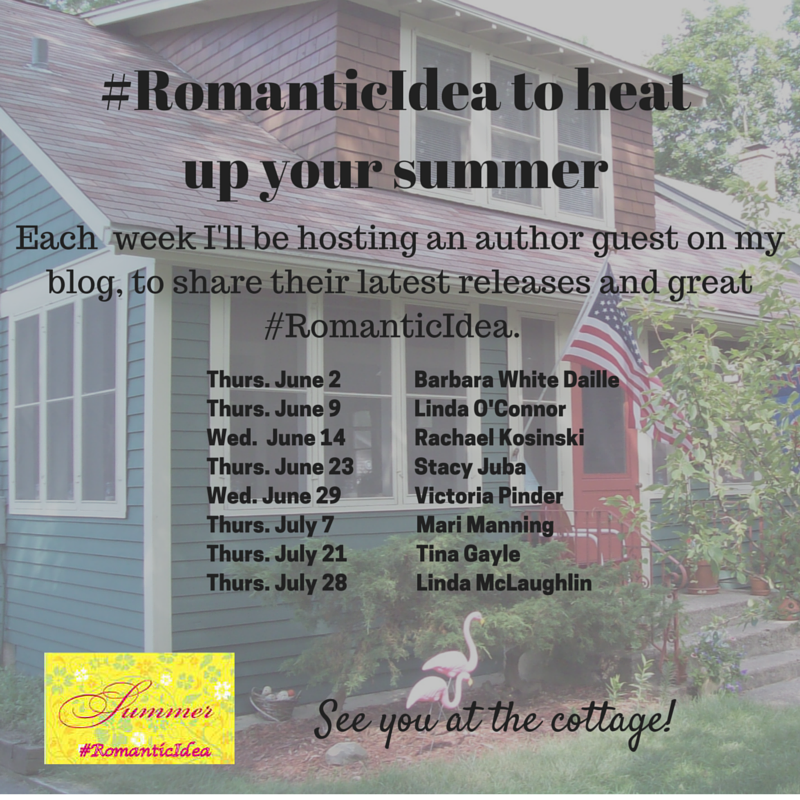 To celebrate the best reading season of all, I'll be transforming my blog into a virtual summer cottage and welcoming some writer friends to share a little about their newest releases as well as a favorite #RomanticIdea to enjoy this summer. I'll also share photos of a few of my favorite places to kick back with a cold drink and a hot romance...the perfect summer combo. See you at the Cottage!